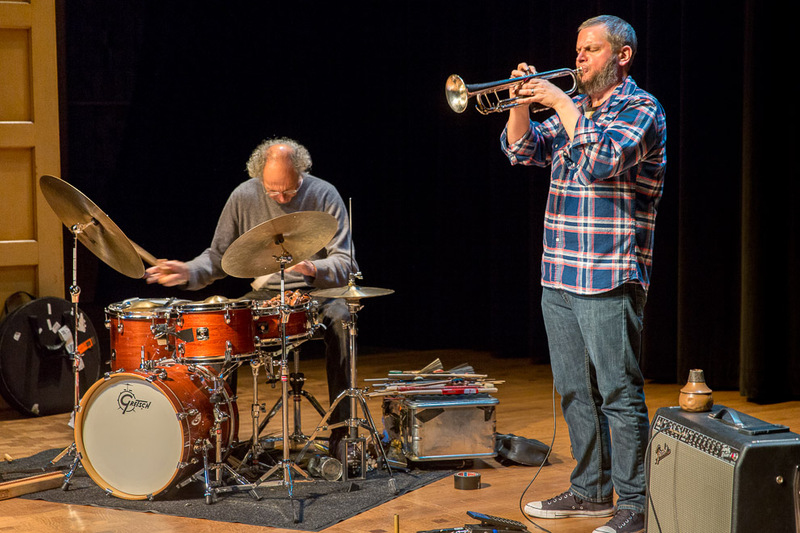 Last night Earshot Jazz presented trumpeter Nate Wooley teamed up with free jazz percussionist Paul Lytton to form a textural, avant-garde duo. 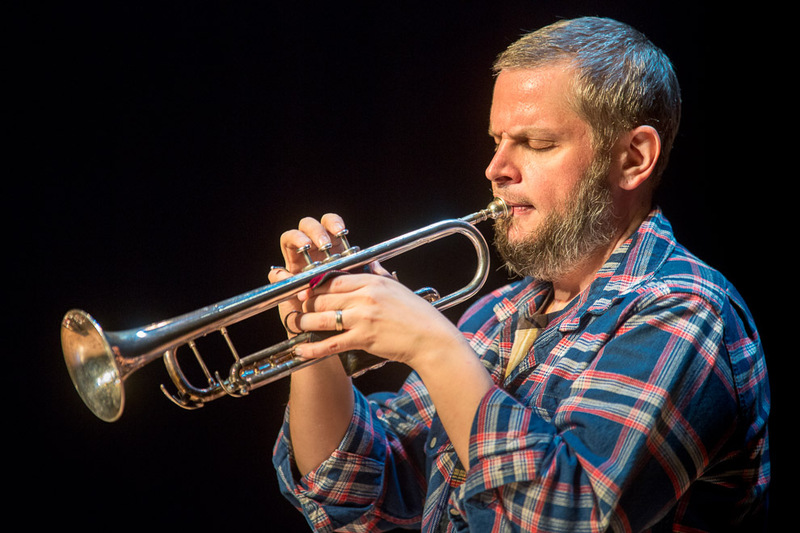 Wooley uses amplifying effects on his instrument, and impresses with virtuoso playing, using experimental registers and sentimental phrasing. Lytton creates lush, minimalistic sounds with electronics and obscure tones. The adventurous percussionist incorporates a clutter of objects like water, a flour sifter, and wooden blocks into his kit playing. While British Lytton and American Wooley have a 27-year age gap, the musicians have found a commonality in their improvising styles, making for a collaboration that organically avoids a repetition of ideas. 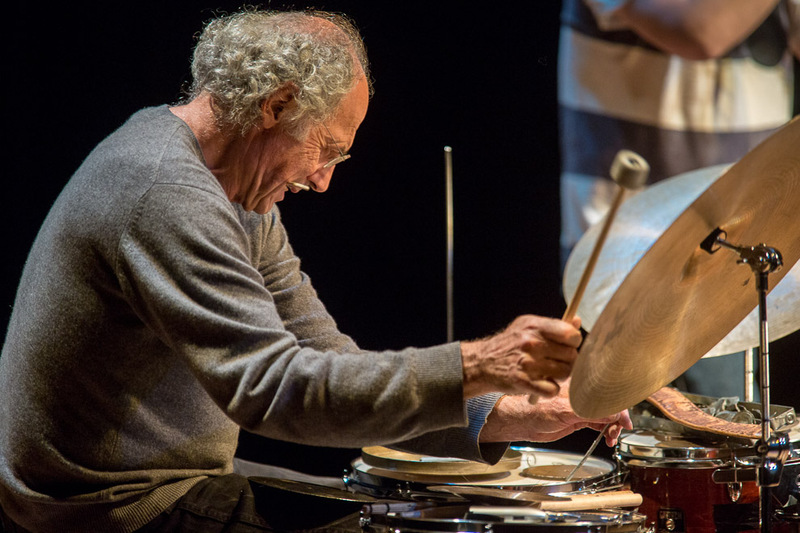 Lytton has worked extensively on the London free improvisation scene in the 1970s and was a founding member of the London Musicians Collective. The percussionist has appeared on over 40 recordings and worked with Roscoe Mitchell, Barry Guy, and the London Jazz Composers Orchestra. Wooley has released multiple records under his own name since 2009 and has been gathering international acclaim for his playing for the last three years. The “iconoclastic trumpeter” (Time Out New York) has had his compositions featured in art festivals in New York, Copenhagen, and Poland. Wooley also acts as the curator of the Database of Recorded American Music.